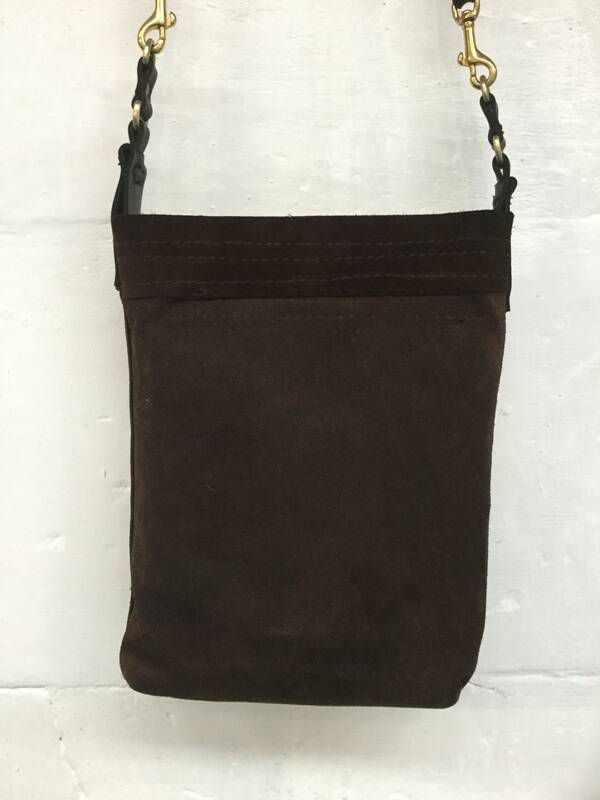 Made from 100% soft genuine New Zealand leather with cowhide pocket on the front. 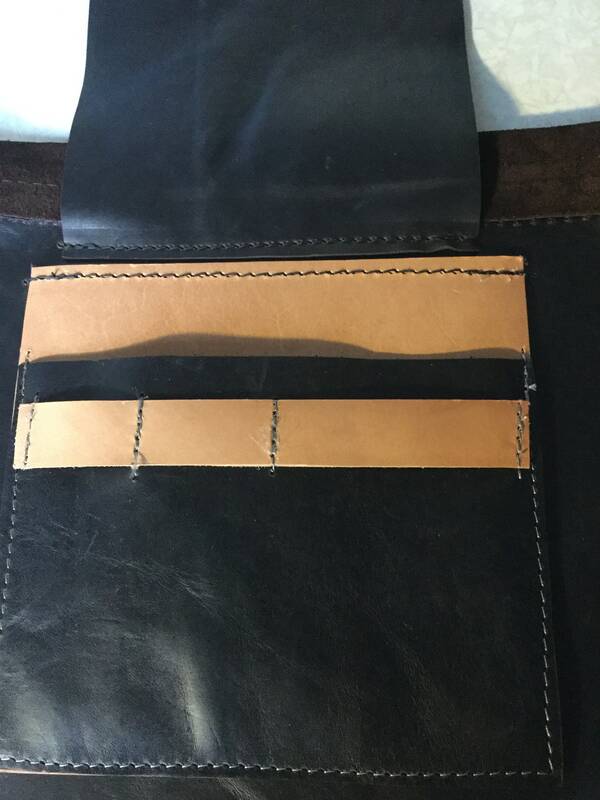 This is made with the wrong side of the leather facing out, to give it more of a swade appearance. 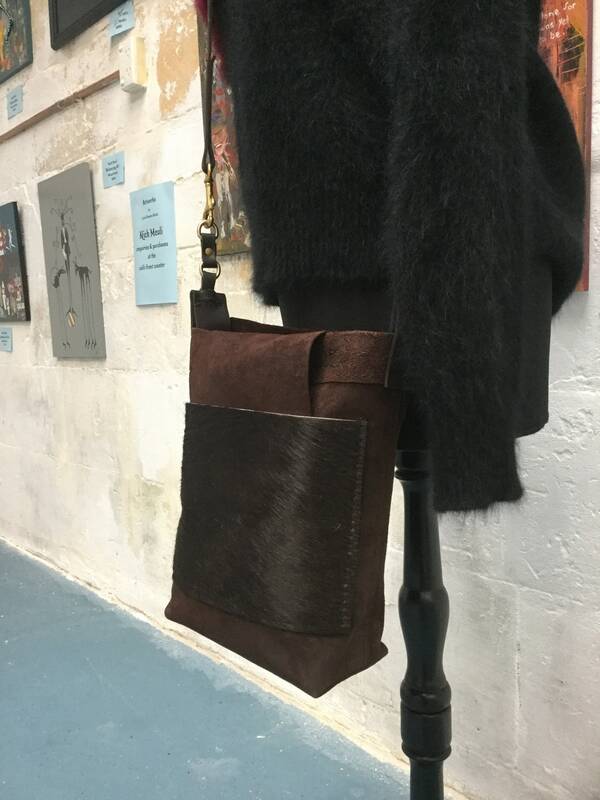 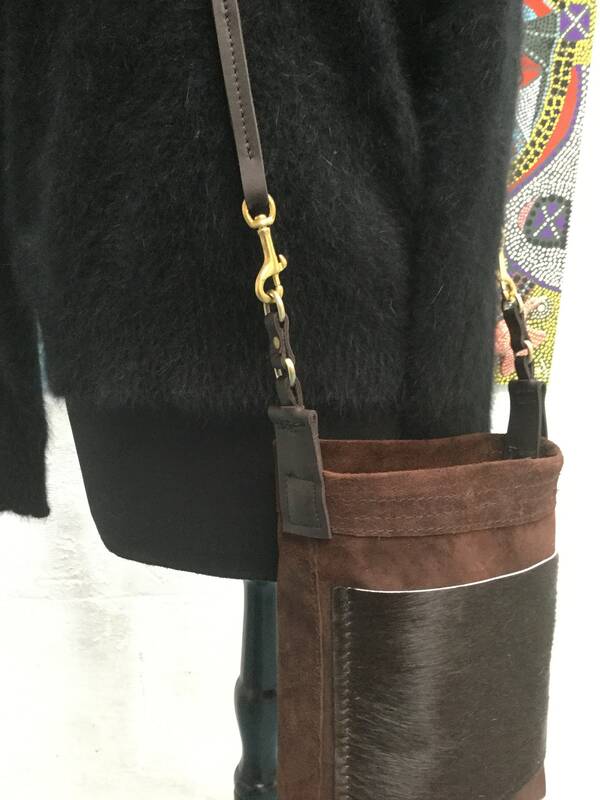 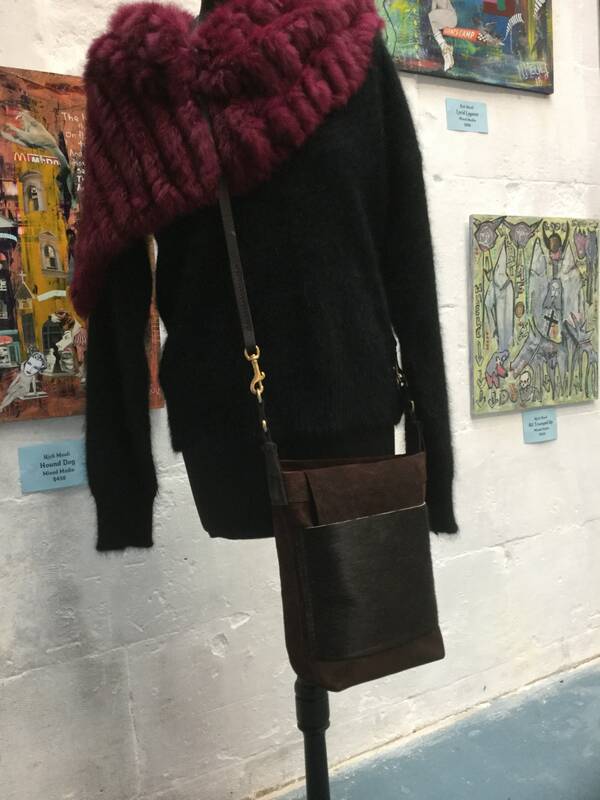 Long removable crossbody strap with solid brass clips. 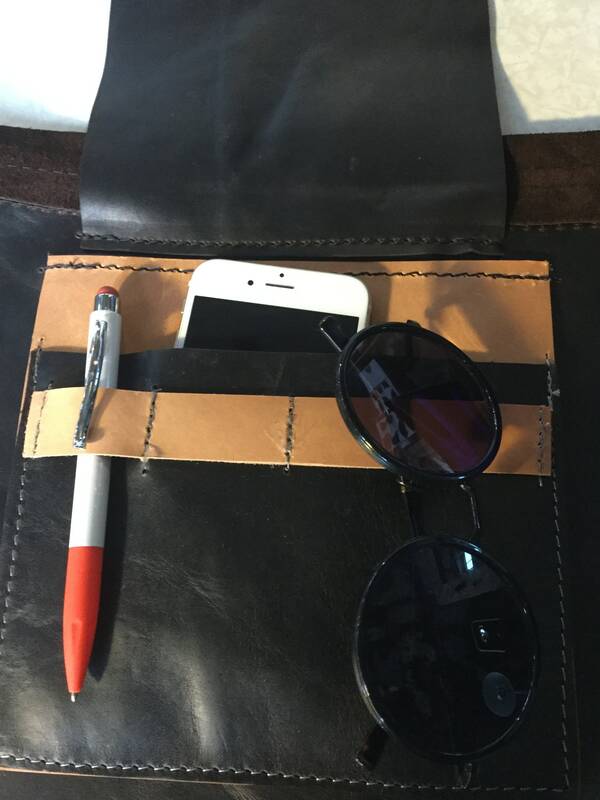 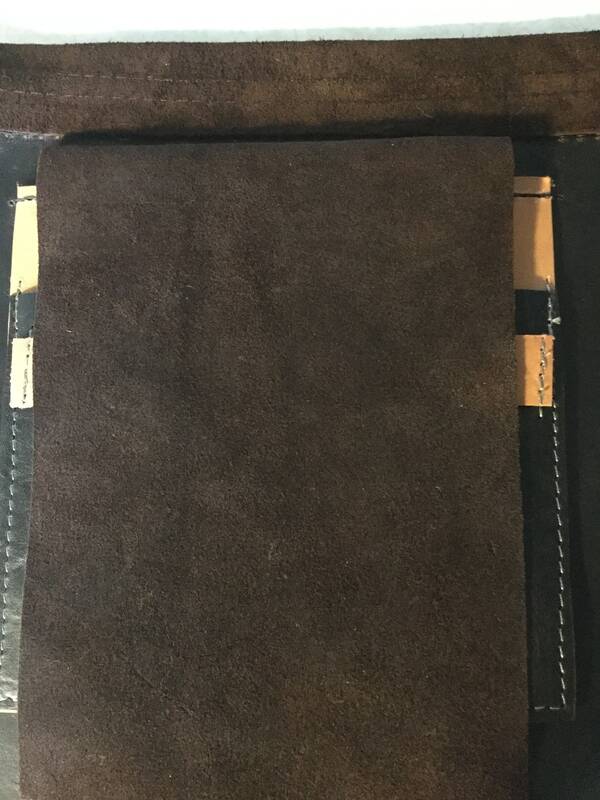 One leather pocket on the inside with a leather pen and glasses holder.